It seems like I’ve been on a bit of a health insurance kick lately. Sadly, affordable individual health insurance has been a big road block to getting to the meat of operating a business as an entrepreneur lately. The problem is top-of-mind. There’s a lot of options these days for individual health insurance plans. At the highest level there’s generally two types of individual health insurance coverage, the PPO and the HMO. There’s several different types of individual health insurance plans and various levels of coverage. The primary plans (HMO, PPO, POS) differ in how they require you to use the coverage or the costs which they cover. Let’s review each of these individual health insurance types and find the one which best fits your situation. The Health Maintenance Organization has existed since the 70’s in the US and is centered around a pre-selected network of doctors and medical services the plan participants can utilize while being covered by the HMO. Generally, the patient has to have selected a Primary Care Physician (usually a general practitioner) who acts as a “gatekeeper” to other specialists and medical services. If, for example, the patient believed they needed to see an ear, nose, and throat specialist (an otolaryngologist) for a severe ear infection, the patient would first have to be examined and a referral given by the PCP to an otolaryngologist in the HMO’s network. Generally coverage via an HMO is high (lower out-of-pocket costs) but strictly limited to the HMO network. The Preferred Provider Organization has become more popular in the past few decades as it offers greater flexibility to that of an HMO. The PPO designates a network that offers preferred (set, lower) rates for medical services to the PPO. This means that the doctors, specialists, hospitals, etc that exist in the network charge lower rates to the insured members of the PPO and in exchange the network would receive the lion’s share of customers in the network. In this, it functions quite similarly to an HMO – both offer networks of professionals that charge lower rates to members of the network, both charge a premium for access to the network rates for the member. However, PPOs do not have a PCP requirement nor do members need referrals to visit specialists. Additionally, a PPO allows a patient to visit out-of-network medical services and still have coverage though at a significantly reduced level. This means that if you’re on vacation in Maui and pick-up a case of Shigellosis, your first call doesn’t absolutely have to be to your PCP for a referral (after all, you’re in Maui). You could visit a local doctor without worry though you may pay a bit more for the out-of-network service. Premiums are usually a bit higher for PPOs while care isn’t generally covered at quite as high of a level. The Point of Service option combines some of the advantages and disadvantages of both the HMO and the PPO. A POS is based on managed care (like an HMO), limiting service choices but lowering costs. An enrollee needs to utilize a PCP as a “gatekeeper” but the PCP may make recommendations for treatment outside the plan network, though with a lower coverage level. The patient may also have greater responsibility for form filings and general process management. So, a PPO offers flexibility at a bit higher cost while an HMO offers restricted, though often better coverage. A POS ends up combining the two, leveraging some advantages and disadvantages of both. It seems to me that most self-employed and entrepreneurs are going to wind up being traveling more often than their location- and employer-bound counterparts. PPOs win in as being flexible and having a variety of choice. PPO individual health insurance plans for a healthy 27-year-old male in my region run from as low as $140/month to upwards of $400/month. If you qualify for ACA-related subsidies, the price can get below $100/month. There’s dozens of plans to choose from with a variety of coverage levels. Let’s look at the most important ones. If you visit a GP or specialist because you’re feeling a bit ill, have a sudden rash, or any myriad of “I should probably goto the doctor” things, you’ll often end up with a copay for the visit you must pay out-of-pocket. Traditional PPOs have fairly low co-pays ($20-$40/visit) for doctors and specialists. 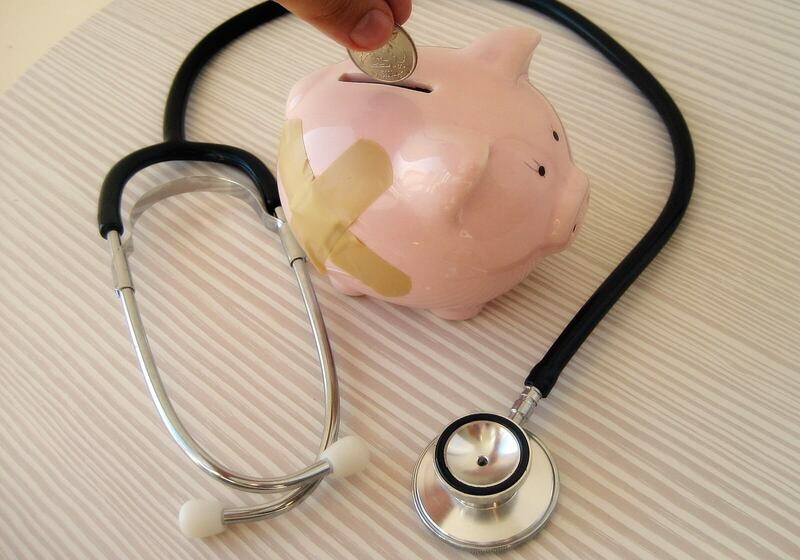 The co-pays do apply to your deductible generally which helps to reduce that amount. High-deductible plans (more on this later), often do not offer co-pays for routine services (though preventive services are still usually free) and you’ll need to fully cover the cost out-of-pocket. This is the amount the patient must pay before the individual health insurance plan will pay for services rendered (often this is waived for preventative care — things like an annual check-up or physical, blood pressure screenings, cholesterol blood tests, etc). For example, you break your arm in Ireland while mountain biking and the hospital charge is $3,000. Your deductible is $1,000. Out of your pocket comes $1,000 to cover the deductible, then the individual health insurance company’s coverage is applied to the remaining $2,000 (though that doesn’t necessarily mean you won’t be responsible for any of the $2,000 – see Coinsurance). A deductible resets yearly. This is the percentage the patient has to pay once the deductible is meant. In the example of a $3,000 hospital charge where the deductible was met at $1,000, if the patient has a coinsurance rate of 20%, they’ll need to cover an additional $400 while the insurance plan pays the remaining $1,600 — assuming this all falls under reasonable and expected services for the injury and is covered by the plan (but that’s a whole separate discussion). Doing the math, you can see how out of the $3,000 bill, the insurance company only covered about 55% due to the deductible and coinsurance rate (this assumes the patient had no other medical expenses in the year that would have reduced the deductible and therein the total out-of-pocket cost for the broken arm). Fortunately if the patient decide to go skiing after their arm is all healed up and break a leg the same year, their deductible will be fully met and that $5,000 bill for the x-rays and cast will only require the 20% coinsurance on the patient’s part. This is the maximum amount the patient will be required to pay within a given year (resets annually). Often this is double the deductible (though the deductible is included). Given the above scenario of a broken arm and leg with a $2,000 out-of-pocket maximum, the patient paid $1,400 towards the broken arm services ($1,000 deductible and $400 coinsurance), so there’d be $600 left to meet the maximum. The broken leg was another $1,000 in coinsurance at 20% of $5,000 but the out-of-pocket maximum of $2,000 would be reached with $600 more so the patient would only be responsible for $600 of the $5,000 for the broken leg. Additionally, any services within the same year will not require further payments from the patient now that both the deductible and out-of-pocket maximums were met. What About The Affordable Care Act (ACA)/”Obamacare”? The Affordable Care Act (ACA) altered many minimum requirements of healthcare coverage plans. It also pushes individuals to get coverage by way of a penalty if they do not have coverage. The most interesting aspect is that it also creates a competitive marketplace for you to shop for individual health insurance. While the marketplace may list certain “levels” associated with coverage plans (Bronze, Silver, Gold); they still represent an underlying type of plan. The levels just indicate a general sense of your liability and the cost of the plan. You still need to have a good grasp of the types of coverage, the risks/rewards of each, and how they’ll most benefit your lifestyle. The marketplace for the ACA may vary from state-to-state as implementation, acceptance, or incorporation of the ACA evolves in each state. You will likely still be able to shop for plans without utilizing the healthcare marketplace in your state if you want to. As long as the plan meets the ACA requirements (and they generally should), you won’t be eligible for a penalty even if you buy the plan privately. 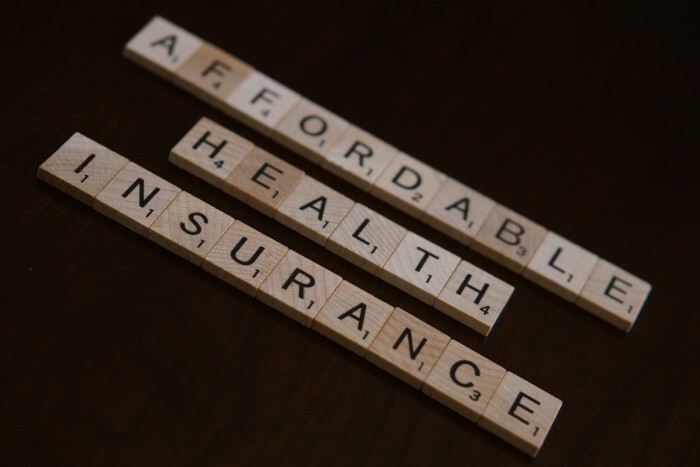 Overall, the ACA offers a wider breadth of choice shopping for individual health insurance plans while simultaneously mandating minimum coverage levels. Costs will rise for some enrollees and drop for others as certain mandates within the ACA affect maximum reimbursements or allowable costs. Now it’s important to consider there’s lots of nuance within the plan beyond these items so be sure to review them, additionally out-of-network coverage will have its own set of rules with higher deductibles, coinsurance, and so on. Fortunately the Affordable Care Act made lifetime maximums a non-issue where it used to be that the insurance company could stop paying once they met a certain dollar payment amount. Each plan will have specific entries for prescription, maternity, mental health coverages and more so be sure to review how the plan relates to specific services. In review, the deductible is the amount you have to pay before your coverage kicks in, the coinsurance is how much you have to pay of coverage once the deductible is met, and the out-of-pocket max is the total amount you’re responsible for within a given year. That means you can quickly figure out how much your maximum cost-per-year is for medical coverage if the proverbial crap hits the fan. If your monthly premium is $200 and your in-network out-of-pocket maximum is $4,000, that’s a total potential cost of $6,400/year assuming you stay within the network and follow the rules. This means you better make sure your emergency fund is at least $4,000. If you’re a healthy individual and read between the lines here, it might seem like you could be paying $200/month just so your annual physical is only $30 instead of $150 if you’d just paid it yourself. Hell, even if you did have a minor health problem during the year that ran $500 in doctor visits and prescriptions, none of that would be covered until you met your deductible. So why buy individual health insurance? The obvious answer is of course that it’s for emergencies and the big expenses. When you have a major health issue that cost tens of thousands of dollars to treat the monthly fee for insurance and out-of-pocket maximum will pale in comparison and you’ll be happy to have the insurance. If you’re young and healthy, it’s simply a gamble to go on without it. What doesn’t make sense at all though is to have a high monthly premium in order to get low copays for the few times per year you might visit the doctor for routine aches and pains. You could pay a higher monthly premium for a lower deductible (and lower out-of-pocket maximum) or lower coinsurance as well and that could be a wise investment. So how do you balance the cost of a monthly premium against the optional levels of coverage in a way that makes sense? You probably don’t want to pay through the teeth just to have low copays or a low deductible and rarely have a need to use it. You also probably don’t want to pay $52/month and have to shell out $15,000 when a real emergency happens, all the while having crap coverage for routine service (yes, that’s a real plan option for me at least). Why would you want a plan that has a high deductible? Most HDHPs come with good coverage for preventative care but require you to pay for absolutely everything else out-of-pocket up to your deductible. For 2015, a “high deductible” health plan qualifies if its deductible is at least $1,300 for an individual or $2,600 for a family. Additionally, an HDHP sets a limit to the maximum out-of-pocket expenses – currently $6,600 for an individual or $13,200 for a family. Often, High Deductible Health Plans are referred to as catastrophic individual health insurance since they really only kick-in for very expensive procedures or many procedure occurrences within an coverage period. HDHPs usually are quite a bit cheaper than a similar traditional co-pay oriented PPO as the mindset is that the patient has some skin in the game for every visit so the premium should be less expensive. This means that the HDHP offers a high level of flexibility of choice of doctor/specialist and a high level of responsibility for costs. The monthly premium of an HDHP can easily be 50% less than that of an otherwise equivalent traditional co-pay PPO. Makes sense, but wouldn’t you lose the savings getting nickeled and aimed for every little thing? Not necessarily. First, an HDHP will cover everything once you’ve met your deductible (minus your coinsurance, and even that is only up to the out-of-pocket max). Second, a wide range of preventative care is fully covered by most HDHPs (no copays even required) which is probably what you’ll use most often. Third, and most important for a long-term looking work-independent individual like yourself, is the Health Savings Account or HSA. A Health Savings Account allows you to make contributions to a bank account for medical expenses that has tax advantages as long as you follow the rules. You might be familiar with an FSA or Flexible Savings Account — they’re very similar but an HSA allows you to roll the balance over each year and earn interest on the balance or even invest it. Where as with an FSA your employer owns the account, you own an HSA. It travels with you year-to-year and is only tied to the bank you opened the account with. Now, just like an FSA, an HSA only allows you to spend your balance on certain medically related services and products. There’s also contribution limits ($3,350 individual, $6,550 family for 2015) just like an FSA. The real kicker to all of these bonuses though is that the account is tax deductible “above the line” which means that it reduces your total taxable income for the year. This health savings account deduction will likely reward you with a large refund come tax time. 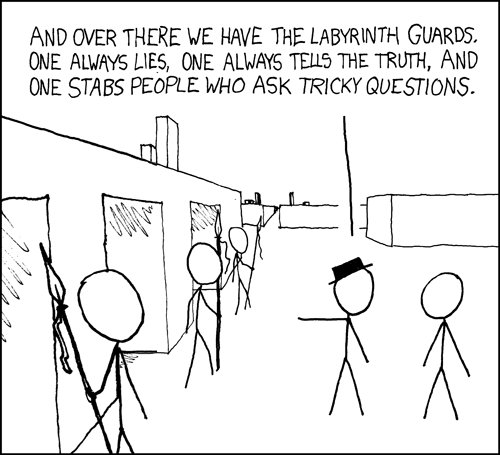 Let’s look at a real-world scenario and see just how the numbers work. Let’s say Johnny who’s a freelance copyrighter fractures his left radial head (that’s your elbow!) while horseback riding in Colorado, just a few hours from home. He’s rushed off to the emergency room and ends up needing surgery, a cast, and repeated visits for rehabilitation over the next few months. Johnny has individual health insurance qualifying as an HDHP with a $3,000 deductible and 0% coinsurance. The out-of-pocket max is also $3,000 (the 0% coinsurance essentially means Johnny wouldn’t pay anything beyond the deductible anyway so the individual health insurance company ends up matching the deductible and out-of-pocket max). Johnny has been contributing to his HSA for the past year and a half with a goal to meet his deductible annually, which means his contribution was $250/month ($3,000/12 months), just under the max contribution to his HSA per year. The only other medical expenses he had in the last year was when his doctor, during a covered physical, prescribed a generic version of Nexium for frequent heartburn he was having which he’s been paying for monthly via his HSA. At $40/month, 6 months into the year, with a total HSA investment of $4,500 ($250/month for 18 months), he’s spent $240 on the heartburn medication leaving him with $4,260 in his HSA and $2,760 remaining for the deductible. The cost of his fractured elbow and recovery ended up being in excess of $10,000. Johnny’s HDHP pays everything beyond the remaining $2,760 deductible which he covers with his HSA, leaving him with $1,500 in his HSA for future expenses and 100% coverage by the HDHP for the rest of the year for any further medical expenses. Johnny’s HDHP cost him $120/month, his $3,000 contribution to the HSA reduced his taxes by $1,000 (almost completely paying for the monthly premium) and his HSA will be earning interest and investment returns for the next few decades until he retires at 65 and can draw on his HSA for regular living expenses just like a traditional IRA. The flexibility of a PPO, the cost-control of an HDHP, and the tax advantages plus investment options of an HSA form to a fairly compelling, though not simple, individual health insurance option. For the long-term thinking self-employed person or entrepreneur it can provide a great shield from excessive emergency health expenses, low monthly costs, flexible investment options, tax advantages and options in healthcare service. Even if you’re a cubicle worker and your deductible is over $1,200 per year, there’s a chance your employer-sponsored plan is HSA eligible — it might be time to give human resources a call! Last updated: October 3, 2017.